Your skin not only needs a sunscreen with good SPF in summers , but in winters also as you tend to usually bask more in winters . 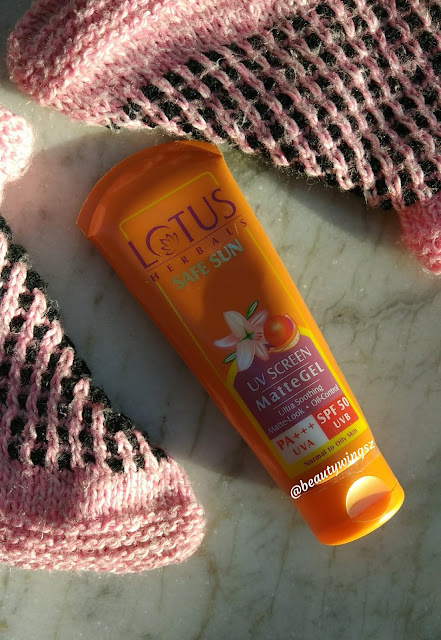 Lotus Herbals UV Screen Matte Gel SPF 50 is a budget friendly , easily available sunscreen . But to find a good sunscreen for oily skin is really a cumbersome task .So does this sunscreen can work true to its claim .Lets find out . An innovative sunblock which is totally non oily and provides a fresh and clean finish to the face, neck and hands. It protects against all forms of sun induced damage : skin tan, sun burn, pre-mature ageing and skin cancer. Lotus Herbals UV Screen Matte Gel comes in a orangish squeeze tube with a flip top open which makes it very easy to use and hygienic too . 1. 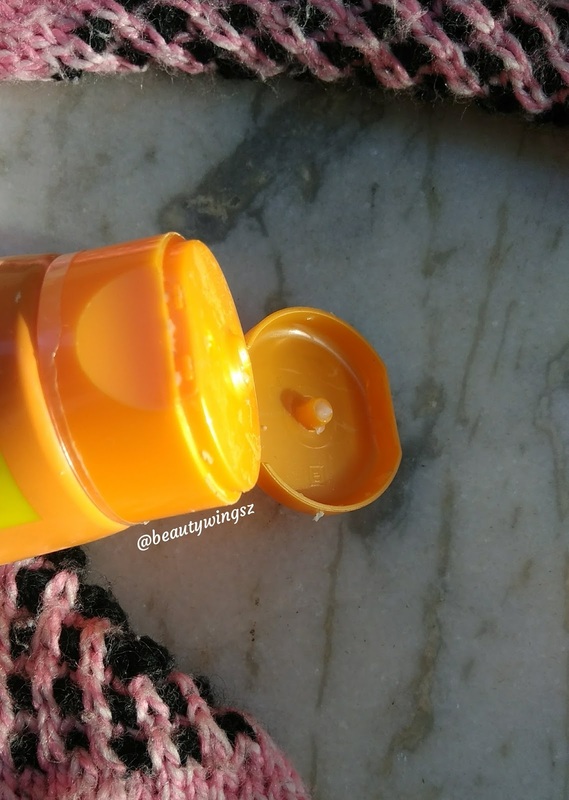 This sunscreen has a slight white tint to it but does not cast any whitish layer on skin . 2. Texture wise its non sticky and has a cooling effect too. Lotus Herbals UV Screen Matte Gel SPF 50 is available at price Rs. 395 for 100g and it lasted around 2-3 months for me . 1. 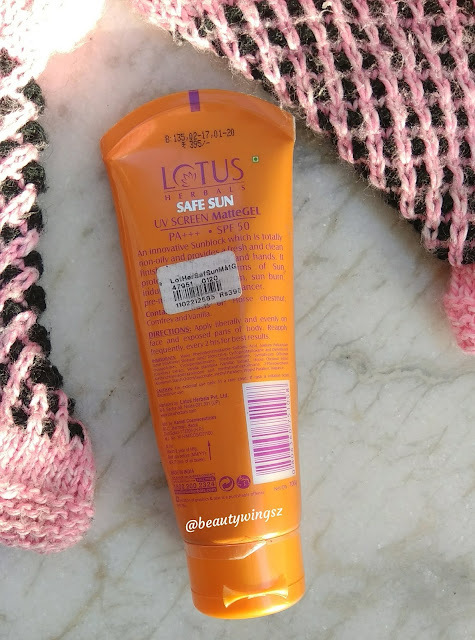 Lotus Herbals UV Screen Matte Gel takes care of both UVA and UVB rays has a SPF of 50 which is very good considering Indian weathers and sun rays . 2. Yes, true to its claims it does not clog pores , does not enhance oil on your skin , and also has a matte effect . 3. Though it is advised to apply it every 2 hours , i apply it morning and evening and yes it took care of sunburns , tanning etc. 4. Not sticky at all. 5. Very Easy to apply and also does not cast any whitish on my skin . 6. Lightweight texture , easily absorbs into skin . 7. Budget Friendly ,Travel friendly . 8. Did not break me out .